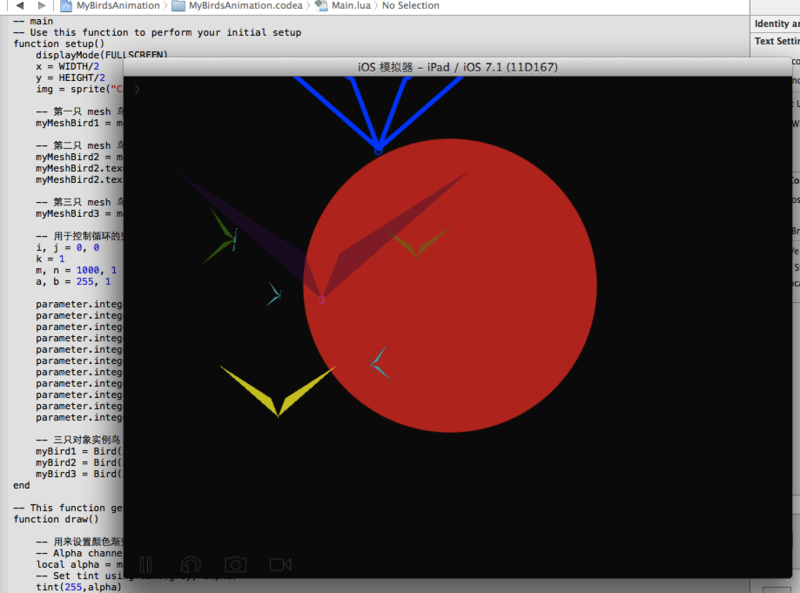 For beginners, the code using basic function in Codea without tween(). -- 用文字标出飞鸟的编号 -- print bird's No. -- 用文字标出飞鸟的编号  -- print bird's No. @binaryblues - don't worry about your English, we have lots of members all around the world, and we know it is hard to program in a different language. It is pretty, and you obviously have programmed before! @Ignatz - thanks for your suggestion, I will read and study it.